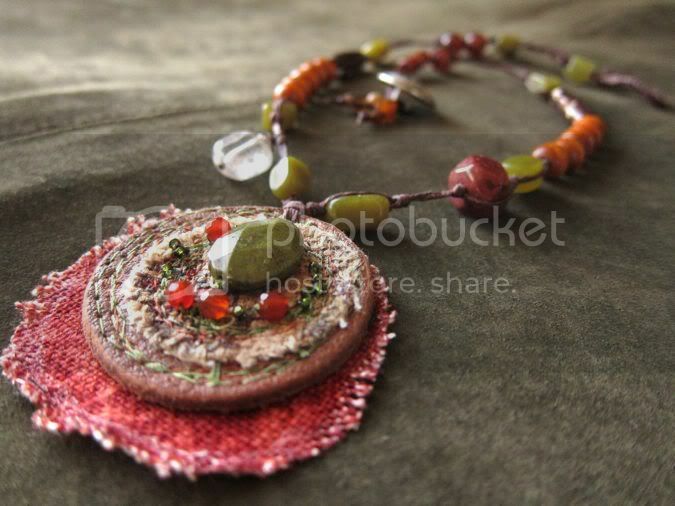 What do you get when you cross recycled leather, scraps of colorful fabric, linen, faceted beads, and a maker who already has enough necklaces? a fun new FEATURING STUDIO SPACES INTERVIEW and lots more. Isn't that just beautiful! Can't wait for next week! wow, love the necklace! the colors are beautiful!